Your Local Specialist in Exterior Cleaning. With over 7 years experience, we’ve built our business on providing professional window cleaning service for domestic & commercial clients. Powered by our advanced hot water system to provide an amazing 60°c clean. Our advanced Stingray cleaning solution provides a drip & smear free interior window clean too! 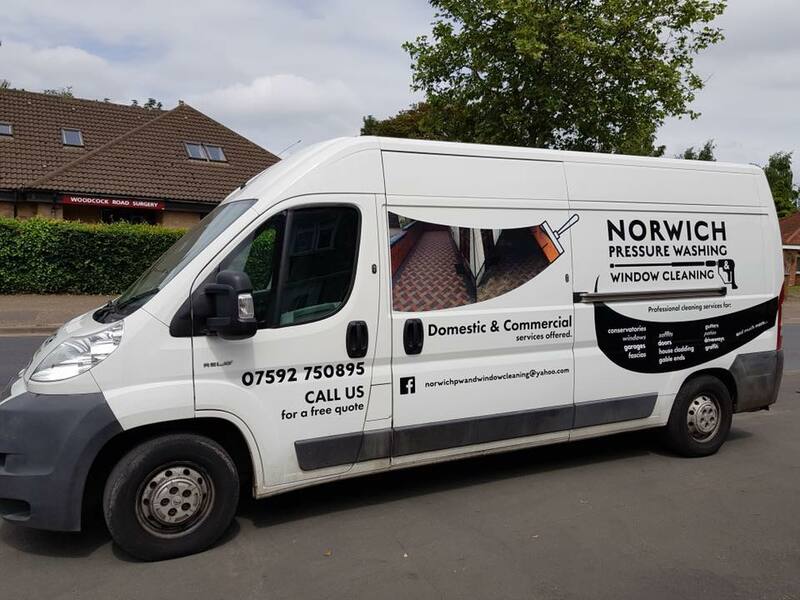 Norwich Pressure Washing & Window Cleaning prides ourselves on delivering breathtaking results time and time again. Thanks to our vast array of cutting edge equipment and vast array of pressure washing knowledge, you can be sure that we’ll deliver amazing results that exceed your expectations! 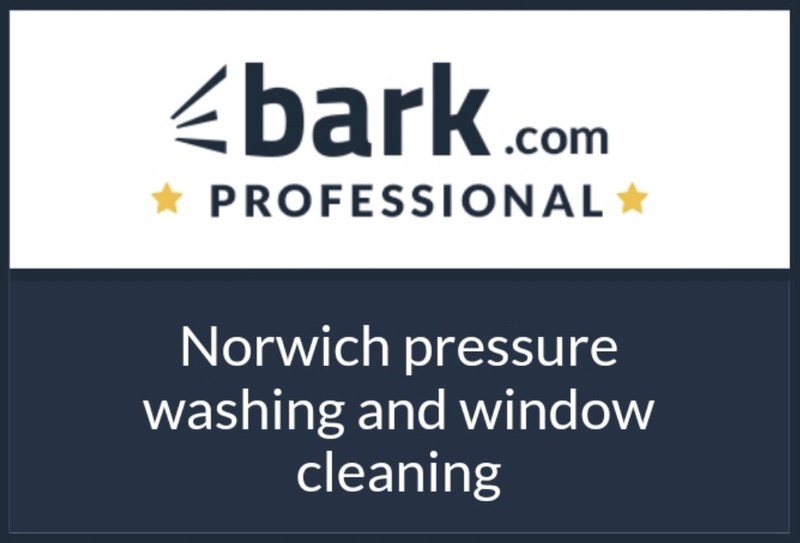 We are bringing the revolutionary benefits of professional soft washing to people & businesses across Norwich. Soft washing is most commonly used on the exterior of both commercial & domestic properties but everything from your roofs to your fences will be amazingly clean! Visit our services page to learn more. 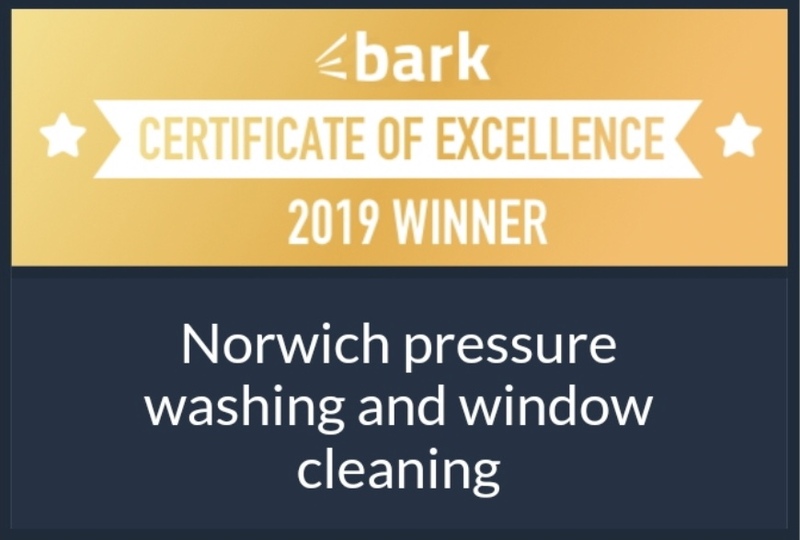 Why Choose Norwich Pressure Washing & Window Cleaning? Window Cleaning & Pressure Washing is a skilled trade and skilled tradesmen are hard to come by. 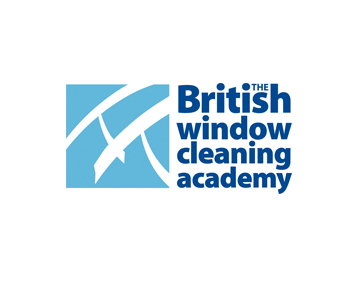 We honed our skills at the renowned British Window Cleaning Academy and use only the latest, state of the art equipment to ensure we deliver exceptional results time and time again. Thanks to our advanced hot water and reverse osmosis cleaning system which produces 100% purified water, we’re able to offer cleaning services for windows, conservatories, garages, fascias, soffits, doors, house cladding. gable ends, gutters (cleaning & unblocking), patios, driveways, graffiti and much more. Get in touch today for a FREE no obligation quote. Professional cleaning services that you can rely on. We have built up a reputation throughout Norwich as the company to call for all your commercial & domestic cleaning needs. 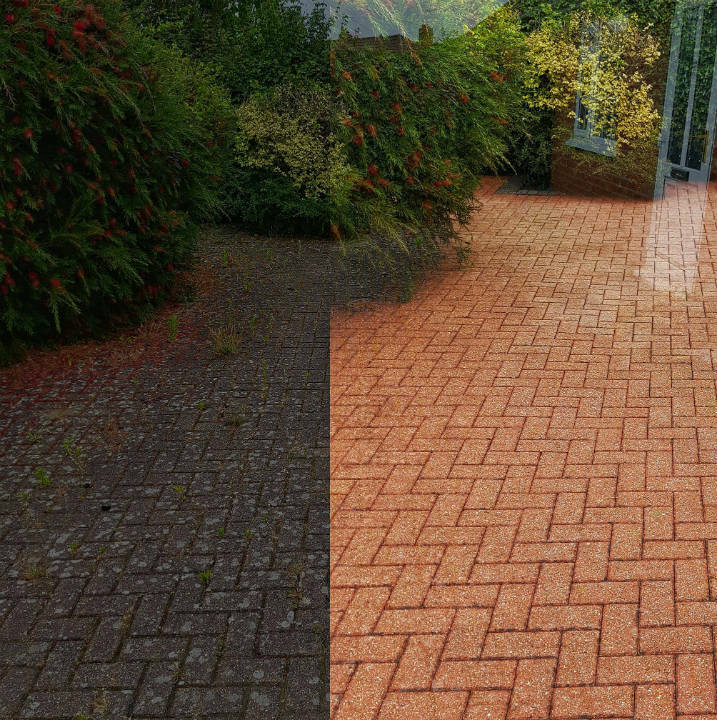 No two homes or businesses are the same, that’s why we have a range of cutting edge cleaning technology. An Amazing clean, every single time! From Gutters (cleaning & unblocking) to conservatories, we offer outstanding results & unbeatable service. 4, 6 or 12 weekly cleans to fit your schedule. "Great service, Great job done, would highly recommend! ⭐️⭐️⭐️⭐️⭐️"
"Highly recommend Daniel's services. Fantastic job done on my conservatory roof and windows today. Professional, thorough and friendly. Takes his time using different processes to achieve the best results." "Dan did a fantastic job on all our gutters, facias and windows! Brilliant service and very hard worker!!" "Daniel was friendly, reliable, efficient and did an amazing job on my windows and doors. I moved in 6 months ago and this was their first clean. Couldn't be happier!! Definitely going to be a regular customer!" "Did an excellent job with our windows and guttering. Would definitely recommend and we'll be using them again for sure." Ask a question or get in touch directly to discuss your requirements.